1. 38 mm pure copper woofer voice coil wound on a Polyamide former for exceptional power handling and dynamic compression-free reproduction. 2. Pressed-pulp cone with cotton fibers material, combining stiffness and lightweight for a wide frequency response. 3. Large rubber surround designed for long throw and optimal sound damping. 4. Over-sized ferrite magnet combined with very low carbon content iron plates, for low distortion at high power levels. 5. Aerodynamic thus acoustically transparent aluminium alloy basket, eliminates rear wave reflections. 6. Anti-vibration rubber magnet cover, damps spurious vibrations. 7. 28mm voice coil Neodymium Tetolon fiber dome tweeter, for undistorted mid-frequency reproduction. 8. 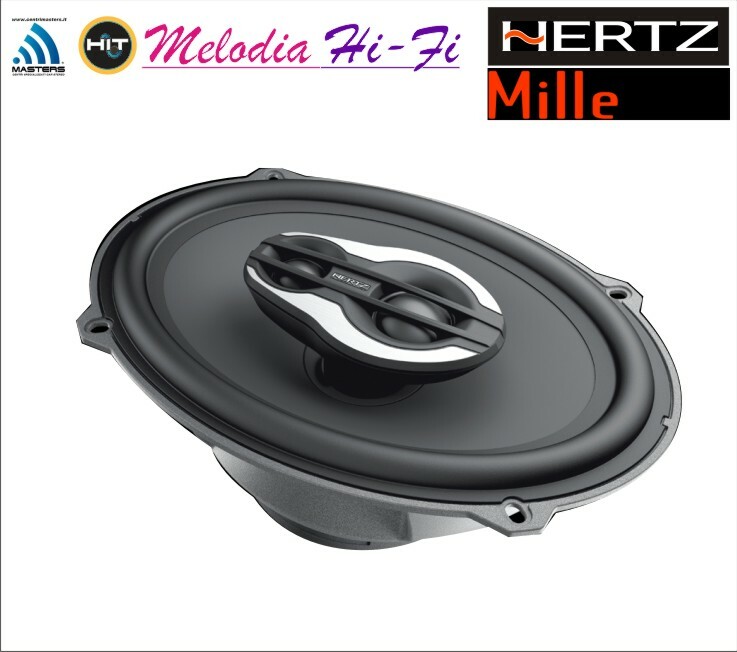 20mm voice coil Neodymium Tetolon fiber dome super tweeter, to naturally compensate for drop-off in frequency response due to speaker horizontal installation. 9. Tweeter faceplate with geometry optimized with FEM (Finite Element Modeling) simulations, to provide excellent off-axis frequency response up to 24kHz by perfectly mixing the two tweeters’ emission. 10. Full protection metal mesh grill featuring the aluminium Hertz logo and attractive look mineral powder coated inner grill are included for several install combinations.